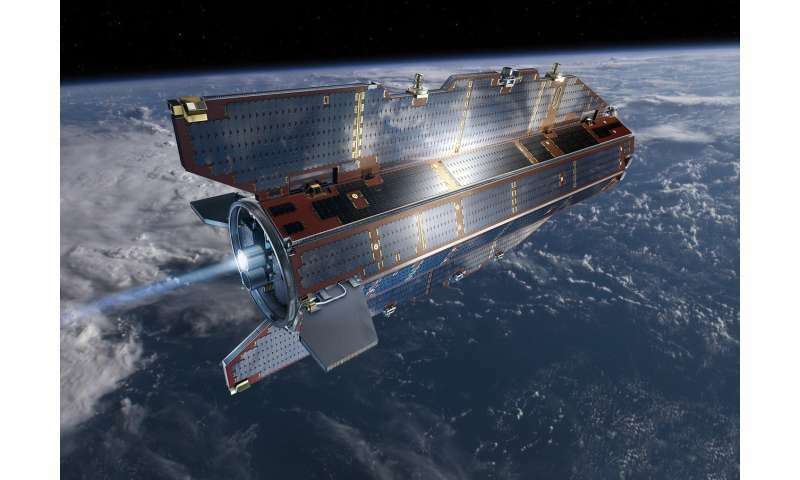 GOCE (pronounced go-chay), the Gravity Field and Steady-State Ocean Circulation Explorer, was one of ESA's most remarkable missions. Operating in the lowest-ever orbit of any Earth observation satellite, GOCE was on the edge of space; flying at an altitude of just 224 km. Launched in 2009 on a Rockot launcher from northern Russia, GOCE spent four years mapping Earth's gravity with unrivalled precision, resulting in a unique model of the 'geoid'—the hypothetical shape that the surface of the oceans would take under only the influence of Earth's gravity and rotation, ignoring the influence of winds and tides. Better understanding of Earth's gravity field and it's associated geoid provides insight into global ocean circulation patterns, and these play a crucial role in climate regulation. In order to determine this, the "mathematical figure of the Earth", GOCE had to fly as low in orbit as possible, so as to sense the minute variations in Earth's gravitational field. This 'fast and low' orbit presented unique challenges to mission teams at ESA's ESOC mission control in Germany, from where GOCE was flown. 'Skimming' the atmosphere, GOCE was flying so low around Earth (about half the altitude of the International Space Station) that the air was still rather dense, meaning it experienced significant drag forces during its life in orbit. However in order to ensure the measurements taken by GOCE were of true gravity, the satellite had to be kept in 'free-fall'. So, along with its distinctive aerodynamic design, GOCE had an electric ion propulsion engine that would generate tiny forces, between 1 and 20 millinewtons (mN), that continually and instantaneously compensated for variations in air drag. After four years at work on the edges of space, on 11 November 2013, GOCE succumbed to the force it had been studying. It reentered Earth's atmosphere over the Falkland islands, where it disintegrated and burnt up, and unusually for any spacecraft in it's final days, the spacecraft was spotted by an observer on Earth during the process.